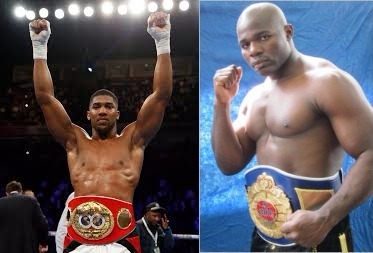 Carlos Takam will have his first shot at a world title on Oct. 28 against unified heavyweight titleholder Anthony Joshua at Principality Stadium in Cardiff after Kubrat Pulev withdrew from the fight due to a previously undisclosed right shoulder injury. Takam (35-3-1, 27 KO’s), 36, a Cameroon native fighting out of France, is a solid replacement. He fought Alexander Povetkin in 2014 for the WBC Silver heavyweight title and gave the Russian a tough fight before getting knocked out late. Additionally, he scored a points victory over Tony Thompson, and provided a difficult test for both current WBO heavyweight world champion Joseph Parker, and former title contender Mike Perez. Joshua (19-0, 19 KO’s), 28, of Watford, was last seen in the ring in April when he stopped Wladimir Klitschko in the 11th round of one of the greatest heavyweight world title fights in recent memory. On the undercard, Dillian Whyte looks to put himself into rematch contention with his bitter-rival Joshua, the 2012 London Olympic gold medalist, as he takes on the battle-tested Robert Helenius for the WBC Silver title. There will also be a battle of the undefeated as WBA super flyweight world champion Kal Yafai (22-0, 14 KO’s), of the United Kingdom, defends his belt for the second time against Japan’s Sho Ishida (24-0, 13 KO’s), who held his country’s version of the super flyweight title from 2014-2016.